Hmmmm intriguing… so May HATES boots. i think part of the problem is that I still haven’t found boots that really fit her well. Having short legs and thick bones makes boot fitting difficult. 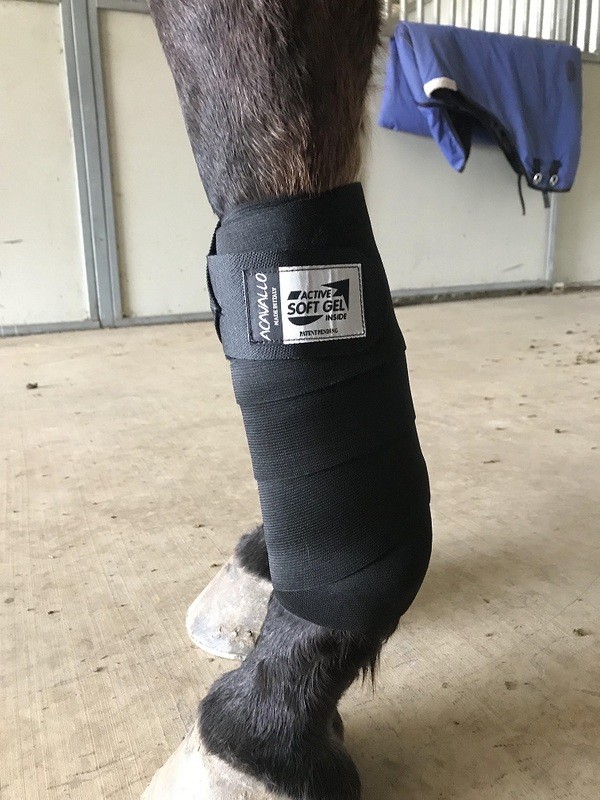 I have used polo wraps, but I never felt like they added much shock absorption and May does interfere often. 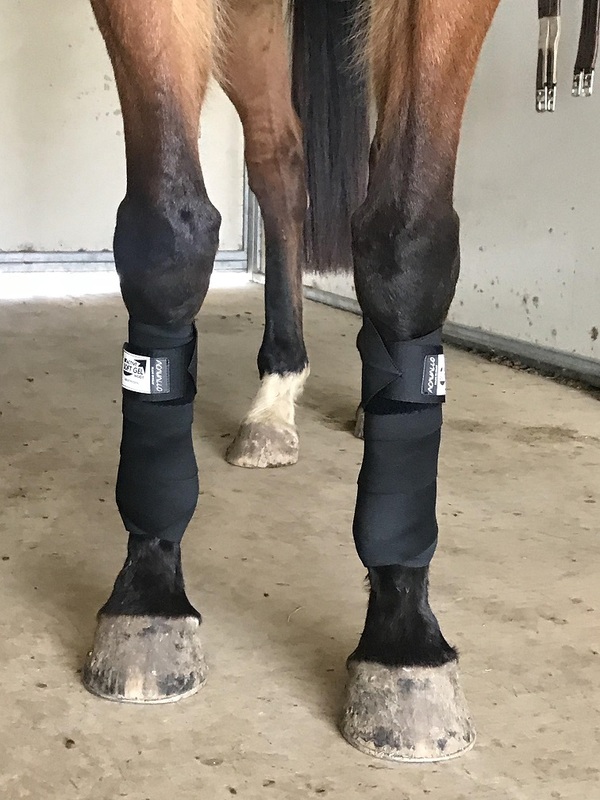 I even noticed that, during our last fitness ride, she stocked up behind in our Majyk Equipe boots… Literally goes from smooshy lower legs to tight and cold lower legs within 10 minutes of me taking the boots off, and the swelling didn’t come back when I used other boots. Again, I think it’s due to poor fit… I might have to invest in a pair of these. Gosh… this is the longest comment ever to say that I might have to try these. I’ve tried four different pairs of boots on Candy- fleecy Horze dressage boots, lightweight Professional’s Choice brushing boots, open front Professional’s Choice, and Horze cross-country style boots with a strike guard. I don’t know if they’re uncomfortable or itchy, but she’s always rubbing her face on them. Candy seems happier in wraps for sure. I like the gel wraps better than polo wraps because I feel like the gel offers better shock absorption. It’s also neat to stick them in the freezer and apply a cool wrap! I was worried about the weight of them and that they’d be bulky, but they really don’t appear to be. Now I kind of wish I had kept mine. I didn’t realize you could freeze them! My local tack shop started carrying these, and my first two thoughts were gosh those have to be hot, and my second was wondering how much dirt and grime the gel would attract. I have to wash my polos almost weekly right now it’s so dry here. Glad to hear you like them! I was concerned the gel would attract lots of dirt, especially since the indoor arena I use is super sandy. 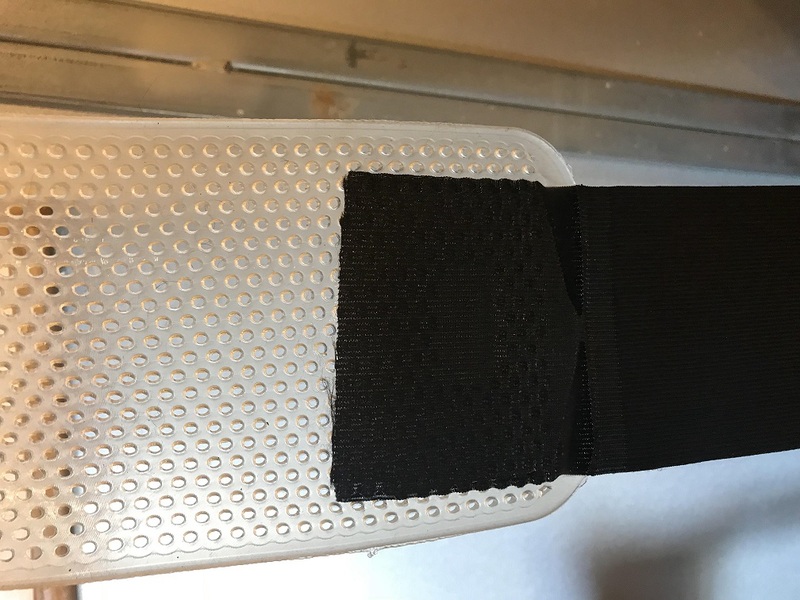 The gel is totally covered by the elastic part of the wrap, so I haven’t had any trouble with dirt or sand sticking to them. The gel doesn’t pull off Candy’s leg hair, either, which is another thing I was worried about. They don’t stay pristine (because Candy’s legs always have some dust on them), but they’re pretty good! Interesting. I really like the idea that they can be chilled/frozen. Me too! It’s such a cool feature! Interesting. 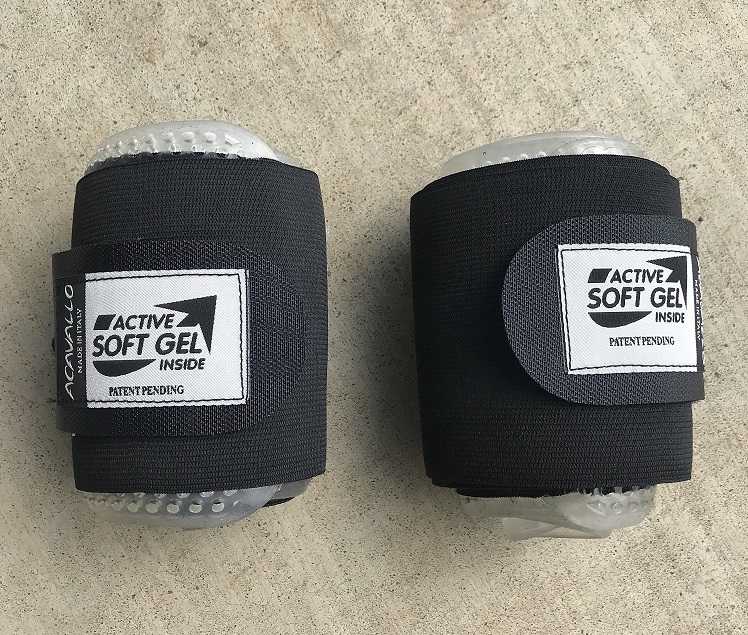 I assume they are similar to climate control wraps, so you roll down with the gel and back up with the elastic? I’m a lazy boot person too. I use Dressage Sports Boots for dressage/flatwork, Eskadron Air open fronts for jumping, and Woof boots for trail riding/XC schooling. Hi Stephanie, I just bought the fleece gel elastic wraps but a little confused. After I unrolled one on each end of the gel there is the fleece with the velcro and on the other end a long elastic piece? Is this correct I thought the gel lays against leg and the fleece part finish it off with the velcro. Any help would be great.